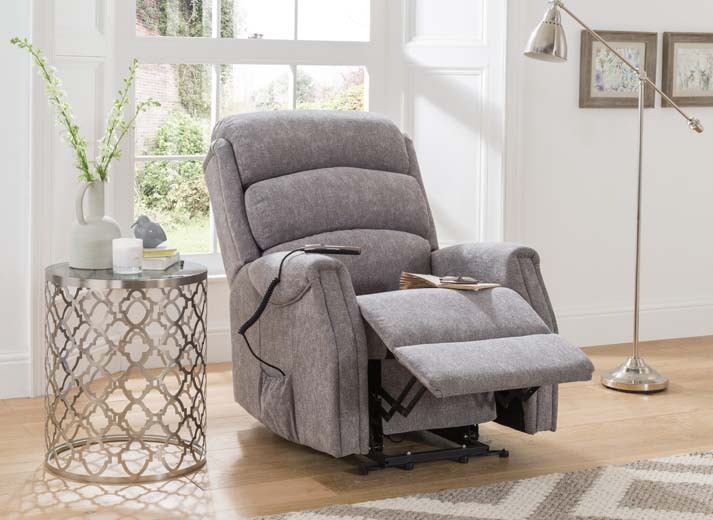 The Harrington lift & recline chair is the perfect multi-purpose chair! Easy access and exit with it's lift mechanism, but pure relaxation with its reclining function. Available in two great fabrics, Autumn Beige and the cool Milton Grey, this chair is perfect for just about anyone. The chair will lift you for easy access and exit. Fully recline action for superior resting position. Dual motor model for those who want to adjust their back independently from their legs. Superior waterfall back cushion design.